At its core, macro photography is focused around taking photos of small or ornate object up close. One reason is to capture more detail than from a distance, and the other is to make the object seem bigger and more detailed than the human eye can normally see. Wildlife photographer and Tamron ambassador, Alex Cearns, has been involved in macro photography for several years, which she describes as “one of the most accessible genres of photography.” “Almost any subject can create an interesting macro shot and images are all around us all the time, just waiting to be taken,” she said. As a wildlife photographer, Cearns specialises in taking photos of nature and animals. 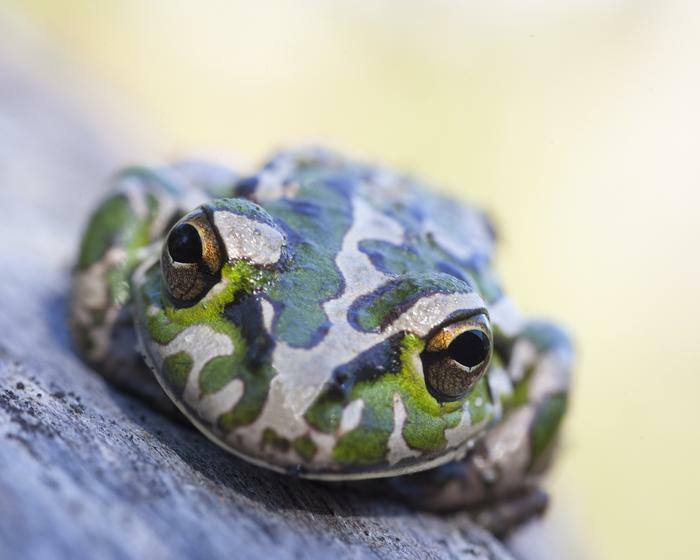 As a result, it is not uncommon for her to take shots of popular animal subjects, such as a pelican or a dog's face, but presenting them in a new and fresh way though macro photography. Photography when the sky is overcast can also produce effective photos in certain cases, as well as early in the morning and late in the afternoon when the light is golden. “I find macro photography at night doesn’t work for me at all,” she said. Cearns also suggests looking for the "little details" when taking macro shots, as it is the tiny things that we mostly overlook or do not pay attention to when standing up. Seeking patterns and textures is one way to isolate potential material to photograph, or block items of a similar colour. 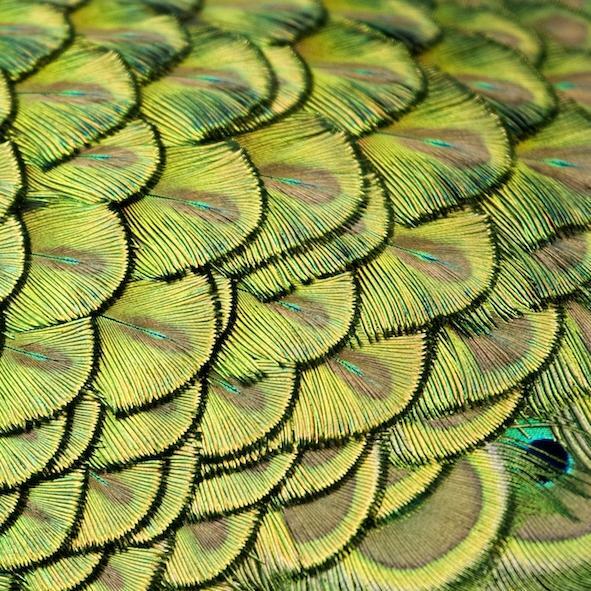 A close up image of a peacock's feathers. Looking at subjects from different angels, such as from above, looking down, for a top-only view, can also help to spurn the imagination. “Photographing subjects from below or at ground level can provide quirky over emphasised results, such as showcasing the underside of a growing mushroom,” she said. A challenge with macro photography is that the slightest movement can blur the resulting image, which in many cases is caused by the photographer and/or the subject moving. A tripod or shutter release cable can help in preventing camera shake, as can locking your elbows in to the side of your body. Another requirement for macro photography is patience, as it often takes time until the subject is still enough for a photo. However, Cearns said with animals this can often only be a split second, so quick reflexes are also needed to capture the right moment. 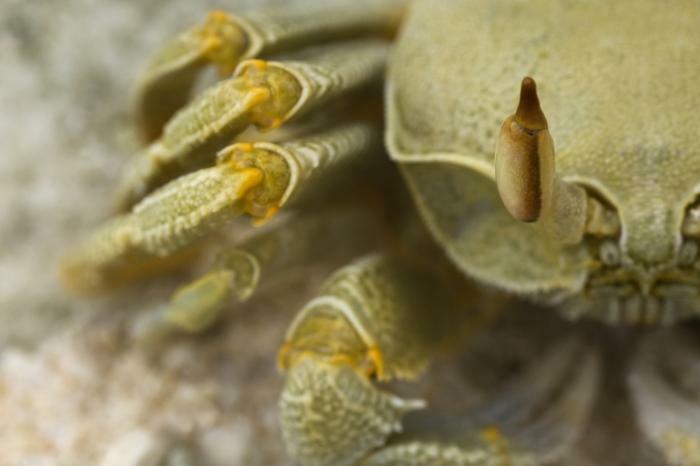 A close up image of a crab. Experimenting with different focus points, angles and depths of field and covering off on every aspect of the subject is also useful, as Cearns said this allows for choice when it comes to selecting the shot that “works best or appeals the most.” “If you are stuck for ideas to photograph, be open to seeing the tiniest of details as a subject and images will start presenting themselves,” she said. Photography is an artform that can take time to master, and the same holds true for macro photography. 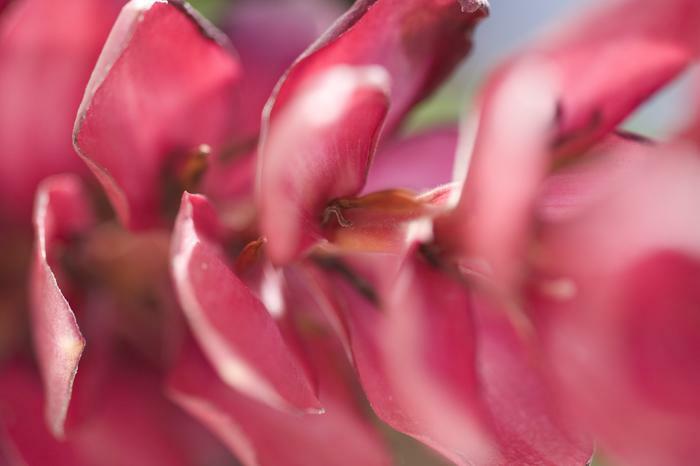 Cearns traces back her involvement with macro photography to the photography books and magazines she read, which then prompted her join a local camera club to share tips and advice with like-minded people. Once the learning was out of the way, Cearns said it was then up to her to put the knowledge into practice. “I learnt early on to judge my own work, and to be critical of flaws or things, which I could have done better,” she said. Since those beginnings, Cearns said she had evolved her style to shoot using lots of bokeh (background blur) and be very shallow focus. “It’s the style of image I like and shows you enough of the subject but doesn’t show you everything, leaving the viewer to get lost amongst it and to write the end of the story,” she said. Beyond that, Cearns said she is a believer in taking full advantage of digital photography by taking lots of shots, or as she likes to call it, “over shooting.” “This ensures I have every angle and detail covered, and when I get home and view my images I don’t have any regrets about something I missed,” she said. An age-old adage is that a cameraman is only as good as the camera they use, and Cearns admits that “good equipment definitely helps.” “A fast macro lens is probably more of a necessity than a than fast camera body, and using ‘good glass’ is vital to ensure sharp focus and a quick response to capture that perfect picture,” she said. 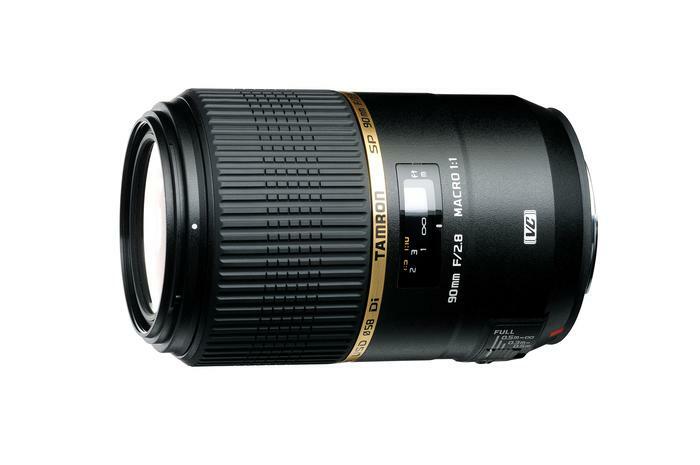 Supplied macro photos were taken by Alex Cearns using a Tamron SP 90mm F/2.8 Di Macro VC USD macro lens (pictured above).